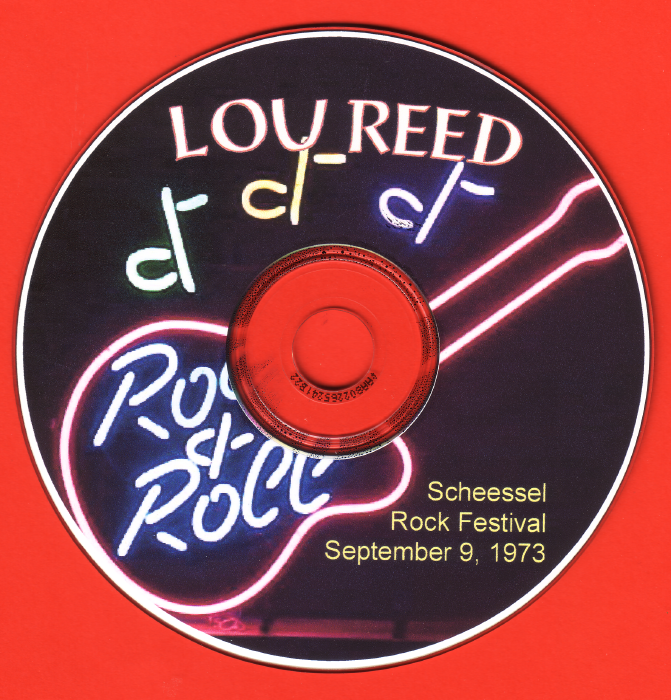 To prepare for the speed- and alcohol-fuelled 1973 European tour to support "Berlin", Lou had played a warm-up show at the Lenox Arts Festival on 01 September. As far as I can tell, the first shows of the tour on European soil were at the Scheessel Rock Festival, just south-west of Hamburg. According to the poster advertising the Festival, Lou was appearing alongside acts like Ritchie Havens, Ten Years After, Wishbone Ash and Soft Machine. Those were different times! 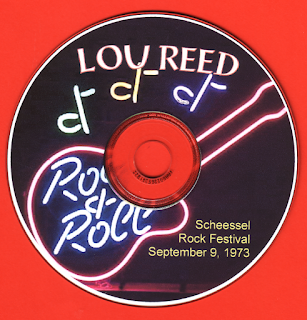 This was the first festival held in the Scheessel Speedway Stadion, and it was apparently attended by 52,000 fans. (On that basis, this may have been the biggest audience that Lou had performed in front of up until this time, certainly as a "solo" artist.) I've never seen any photos of Lou taken at this show, but less than a week later he would play at a festival in London, the Melody Maker Crystal Palace Garden Party. Many photos from that show have been published, and they show Lou looking like a slightly overweight panda clad in black leather and with a bewildered look about him. By the end of the tour he would be pencil-thin and his hair would be cropped back to the skull (in preparation for his early 1974 "blonde with iron crosses" style....). (after the show in Lenox)...we put the equipment on a plane to London and a few days later Jack, Mack and I followed behind. The rest of the crew and band first journeyed to Frankfurt, Germany, for a pair of shows in which the promoter provided all the gear. These two shows alone paid for all the expenses of Lou's entire upcoming tour and only required a skeleton crew to operate. I think that this festival was Lou's first ever show on German soil. The set list is the same as had been played at Lenox, but without "Oh Jim", the acoustic interlude or "Sister Ray". It sounds as if Lou is trying very hard to put on a good show and justify his (presumably large) fee. The band play like heavy-metal assault troops and Lou sometimes seems to be missing out/slurring his words just to keep up with them (or maybe he's just a bit too drunk). In several places he tries to whip up some enthusiasm from the crowd, but it's "Heroin" which gets the big applause/audience response. This is a poor quality mono recording - everything sounds quite "distant" and there are multiple defects. On the positive side, the vocals are always clear and there's not much hiss or audience noise - it's surprisingly listenable. Maybe someone out there has a better quality copy? Give copies to all your friends!